So much happened in regards to every single character, so much was on Erica's plate, her whole life had to change in a blink of an eye. It was all so crazy, I don't know how she did it. She lost so much, and gained a lot too and I loved watching her overcome the struggle of everything and rise above it all and finding happiness among the darkest days. I've said this before, I loved Erica and Sasha but I also fell in love with Tyler too in First Came Forever. Watching him step up and be there for Erica in every way she would let him, was both selfless and a little selfish but I love it. There was no doubt at all that Tyler loved Erica with every fiber of his being. He really did steal my heart there. Watching them together after everything they had to do, getting over the craziness but living through it and finding happiness in the little things made me happy. It was funny and cute, and then I was living for it but I was also just wanting around for Sasha to come back.. and when he did well I was both happy and sad. Tyler and Erica had just found true happiness together and then Sasha came knocking on the door and destroying that happiness. I was just as conflicted as Erica. Tyler or Sasha? I kind of wish she could stay with both. “I want to kiss you all the time,” he murmured. “To show the world that you’re mine.” He lifted the duvet and moved over, putting his leg over hers. “Do you think this will ever stop? This wanting you?” He brushed her jawbone with his lips. I don't want it is lately but these love triangles have been completely f*cking up my mind. I used to hate them and I always had a favorite but lately I've been loving them both so much and that breaks my heart because only one of them will get the girl and that's truly heartbreaking. Ok, ok I'm end the rant here otherwise I'll never shut up. Sorry loves. 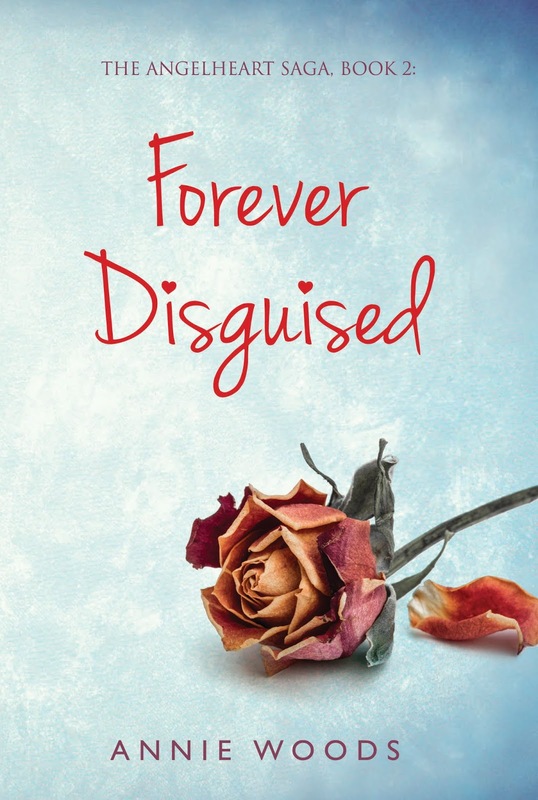 Forever Disguised was way better than anything I could have expected. Not only did Annie's writing get better, the story got better too, more drama, more craziness, more love, a lot of emotions over the course of the whole book. And I love the fact that Annie writes such diverse characters and gives them all a spotlight. I love these characters and I find myself truly invested in each and every one of them. She writes characters you can see yourself in (well despite the whole fairy tale thing and having this Prince's baby) characters that will make you connect to the story somehow, and make you happy to seem some of your quirks, traits or struggles in them. Overall this book was amazing and as soon as I finished it I was already dying for more. Just thinking that I'm gonna have to wait a whole year for the third and final book in the saga makes my heart hurt. I hope Annie finds a way for all 3 characters to be as happy as they can be given the circumstances, they all deserve to be happy after everything. 2. Second prize is a signed paperback copy of Forever Disguised PLUS a bookmark of your own liking from FictionalBoutique. 3. The third prize is an Angelheart Saga bookmark collection from FictionalBoutique.